Edinburgh Business School's MBA remains one of the world's largest international MBA programmes. It attracts more students from more countries than any other programmes, drawn by the quality of the teaching and the flexibility of study. Edinburgh Business School offers part-time students the opportunity to work at their own pace, in their own time, yet get full on-campus and online academic support. Edinburgh Business School also offers students the chance to interact with fellow students across the world and to join our network of more than 11, 900 students worldwide and over 19, 000 alumni (more than 450 in the Gulf region). Full-time students can dedicate 12 months to completing the MBA programme as part of our growing international student population at our Dubai Campus. We have an extensive network of partner organisations across six continents. Our MBA programme will follow your career moves – not the other way around. Our courses are geared to the needs of mature business professionals. We offer a variety of ways to learn and study – textual content, simulations, case studies, faculty interaction, class attendance, online tuition and revision, peer interaction and interactive, course-specific websites as well as a student services website. Edinburgh Business School, founded in 1997, is the graduate school of business of Heriot-Watt University. The flagship programme is its world-renowned MBA, which has been offered in Dubai since 2006. More than 19, 000 students from over 166 countries have graduated from our programmes, making the Edinburgh Business School MBA one of the most popular international MBA programmes in the world. Designed for working professionals, our MBA can be studied from anywhere in the world and is often chosen by executives whose careers require them to travel and even relocate during their studies. The MBA programme is supported in Dubai by a full-time, dedicated team to ensure a quality service for our MBA students. Students can choose to pursue their MBA study on a part-time basis and complete within a 24-month period, or on a full-time basis, completing within a 12-month period. The MBA at the Dubai Campus is taught by an experienced faculty, with many academic staff flying in from our international campuses in Edinburgh and Malaysia to deliver seminars. Students work towards their MBA on a course by course basis and are eligible for the MBA degree from Heriot-Watt University after completing the required nine courses (consisting of seven core courses and two electives from a choice of 37). Students who choose to study at the Dubai campus will receive 48 hours of tutored interaction for each core course and a large amount of the student’s time will be spent studying independently (approximately 200 hours per course). 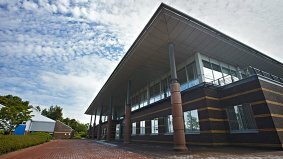 Students can schedule their studies to suit their lifestyle, by attending either two 2-day seminars (Friday and Saturday) plus a 2-day revision session (Friday and Saturday), or alternatively a 4-day intensive seminar (Wednesday to Saturday) plus a 2-day revision session (Friday and Saturday). Students studying by distance learning who want focused classroom time with tutor and classmate interaction can also join the 4-day intensive core course seminars. In September 2015, Edinburgh Business School launched an MBA with a specialism in Oil and Gas Management, the only on-campus programme focused on the oil and gas industry in the UAE and wider Gulf region. Designed for managers and aspiring managers in the oil and gas industry, this applied specialism will cover the key management issues facing the industry today. The new programme is also relevant to professionals who work in association with partners in the resources exploration sector, for instance, supply chain management and logistics companies whose customers are specifically the oilfield services companies operating in Dubai and Abu Dhabi. The four specialist on-campus elective courses are authored and delivered by the Edinburgh Business School faculty, who have extensive experience of developing course materials and case studies in consultation with industry experts and partners. Edinburgh Business School delivers this new on-campus blended learning programme from both its Dubai and Edinburgh campuses and also through partners in Nigeria and Trinidad.